NO NEED to travel for the coolest program! 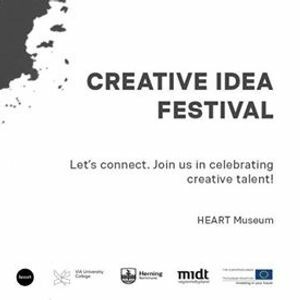 Creative Idea Festival - An event that inspires not just people but possible collaborations. Herning is the middle of Denmark - at least for 23rd of March! With this colorful and unique opportunity you can freshen up and ease into the spring vibes. Be part of the flow, and impress your senses! 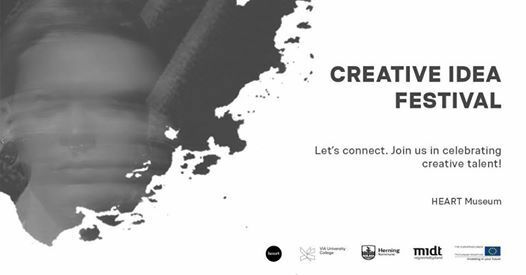 Overdose on inspiration and get in touch with other creative minds of Herning! Allow yourself to be taken away to whole new dimensions in the performance room! Experience an innovative combination of design, art and business! Network, interact and have fun in a creative atmosphere! Come and join the designers and have a conversation!